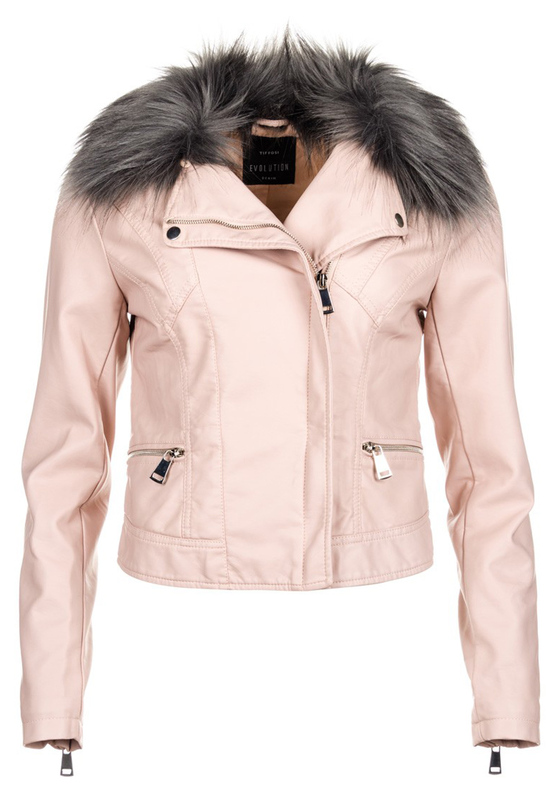 Inject some edgy chic style into work look this season with this leather look jacket from Tiffosi in pink. This Beverly biker look jacket has a fluffy grey faux fur collar that can be removed an asymmetric zip, zipped front pockets and is complete with a Tiffosi hardware on the trim. Rock this stunning item with black skinny jeans, a printed top and killer heels for drinks with friends.